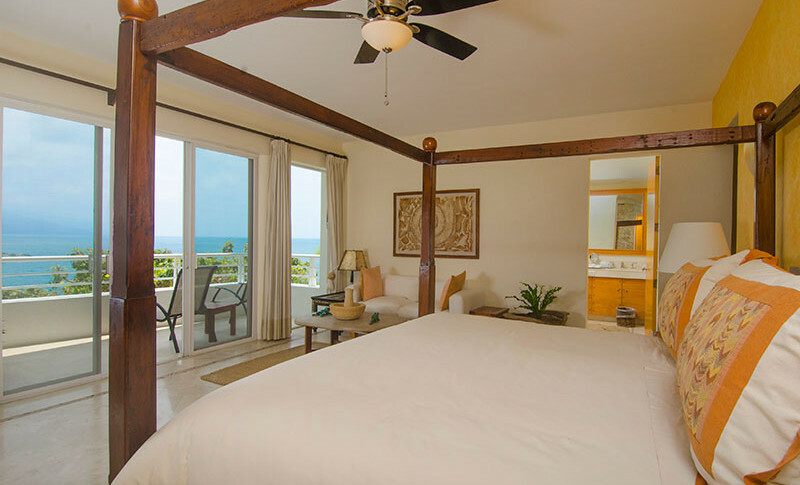 With a two year expansion project just completed in 2013, De La Vista now offers 25,000 square feet of luxury oceanfront vacationing and amazing sunsets year-round! 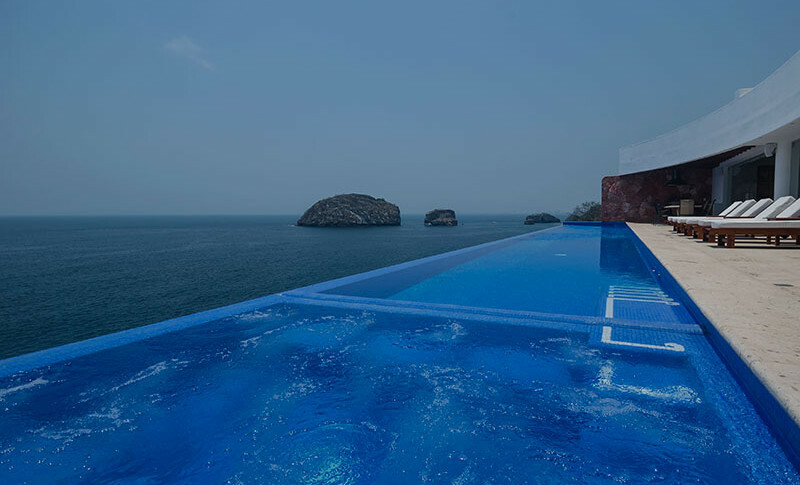 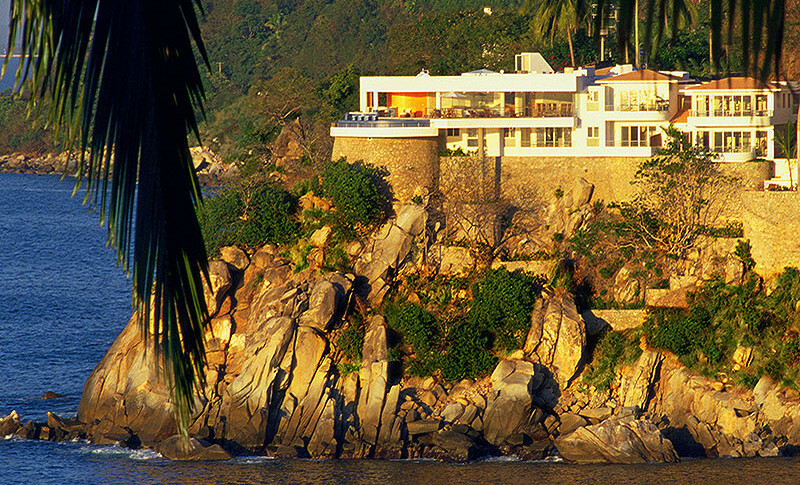 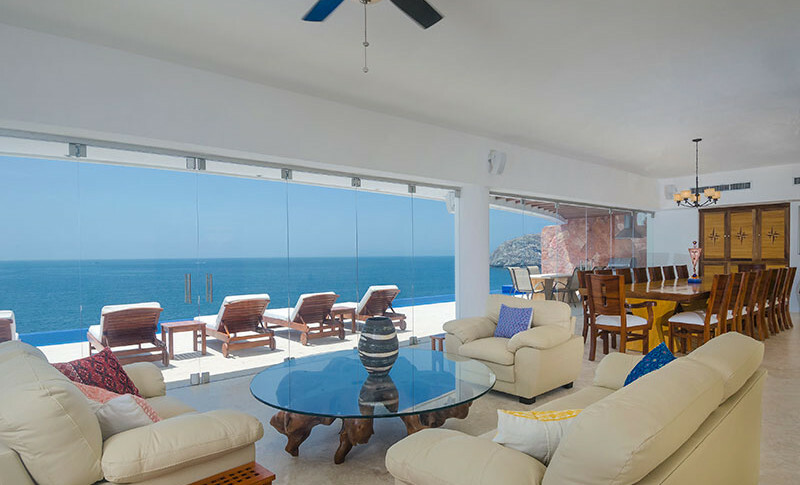 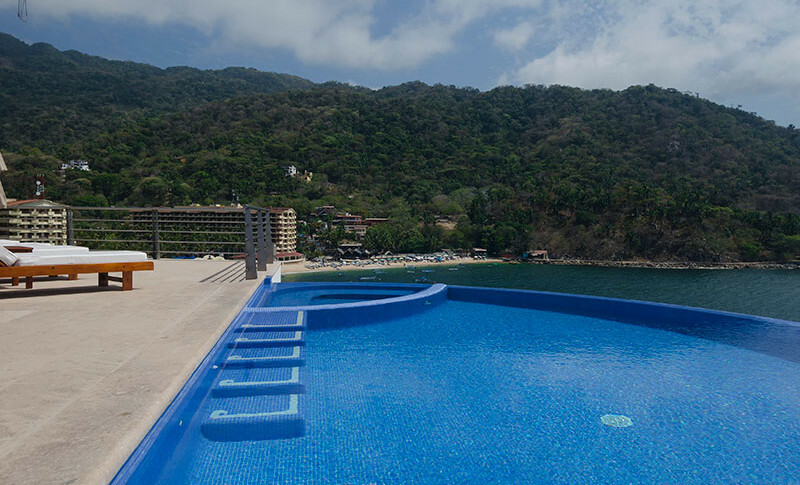 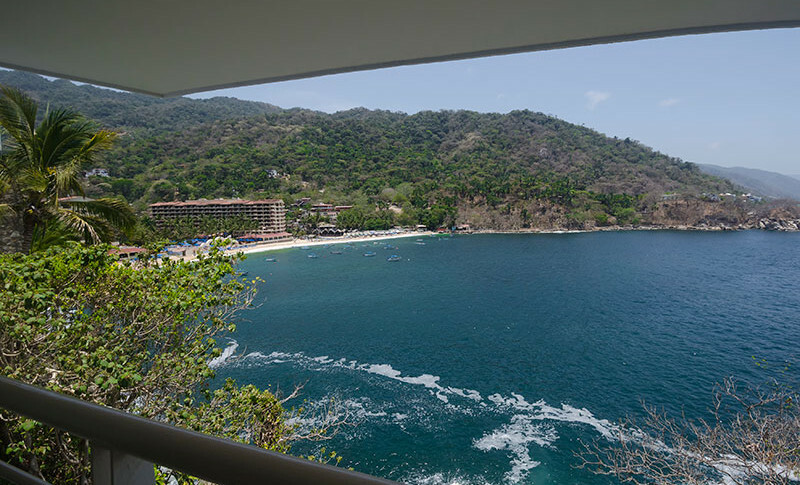 This spectacular villa is convienently located 10-15 minutes south of downtown Puerto Vallarta, just before Mismaloya. 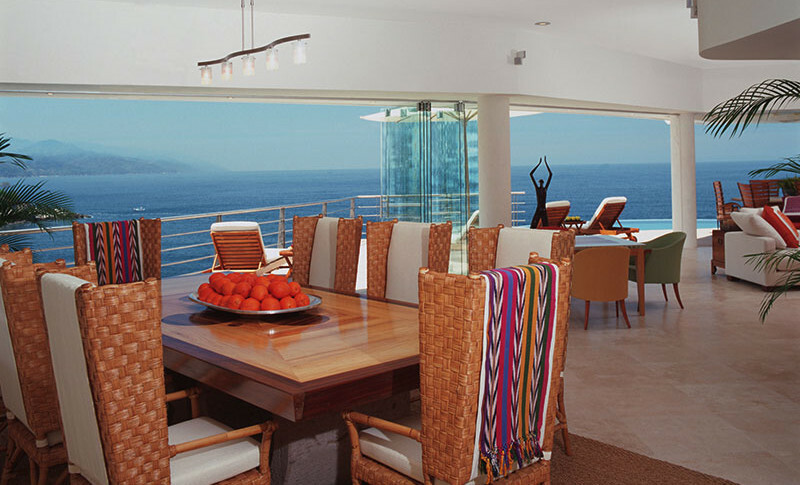 As you enter into the expansive living and dining room located on the main level, a magnificent 270 degree panoramic ocean view welcomes you. 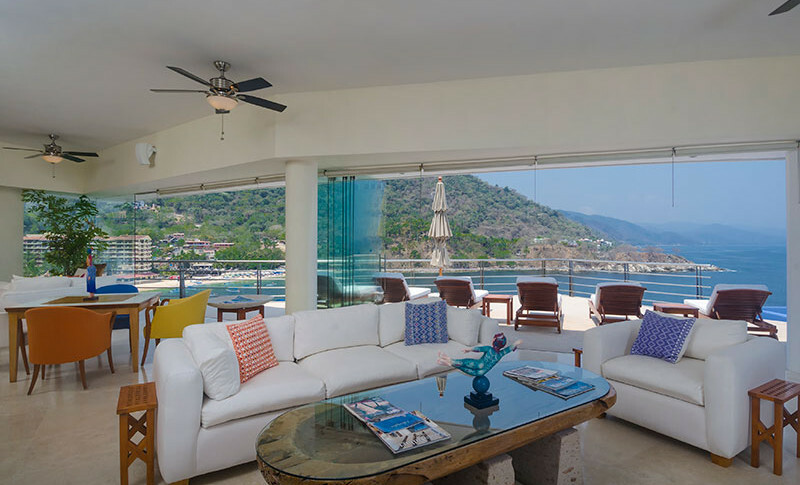 Floor to ceiling glass doors lead you to a sweeping terrace, infinity pool, Jacuzzi and swim-up bar to create a lifestyle of absolute perfection. 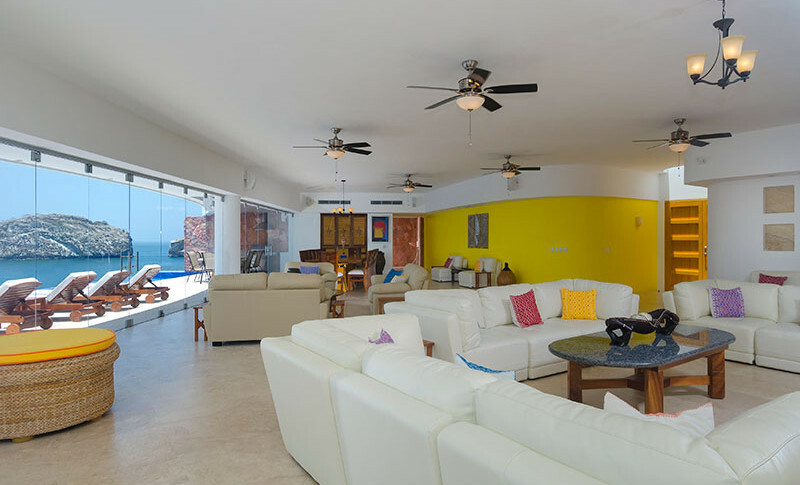 The villa offers a tremendous amount of public lounging space indoors and out, perfect for large groups, special occasions and wedding events. 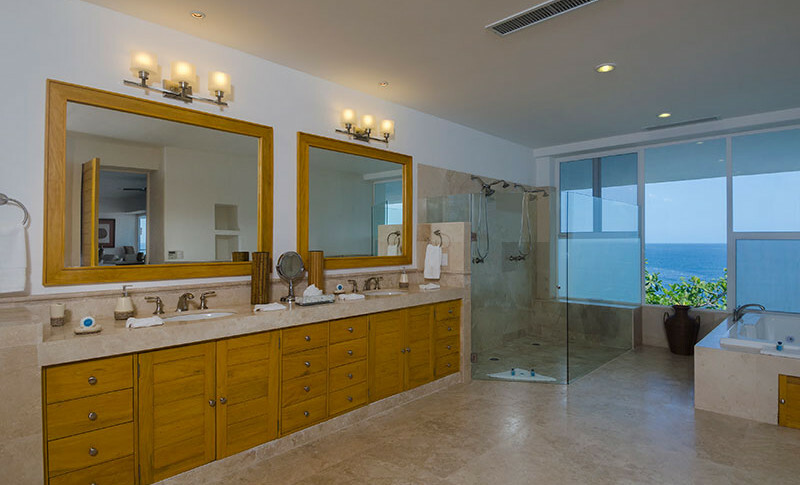 Luxury and comfort blend together at De La Vista, with elegant marble and cantera floors, modern Mexican decor, custom cabinetry, a gourmet kitchen, and enormous rooftop sun deck for that perfect tan, an indoor garden, a two car garage, servants’ quarters and a secret place – a private hideaway platform beach. 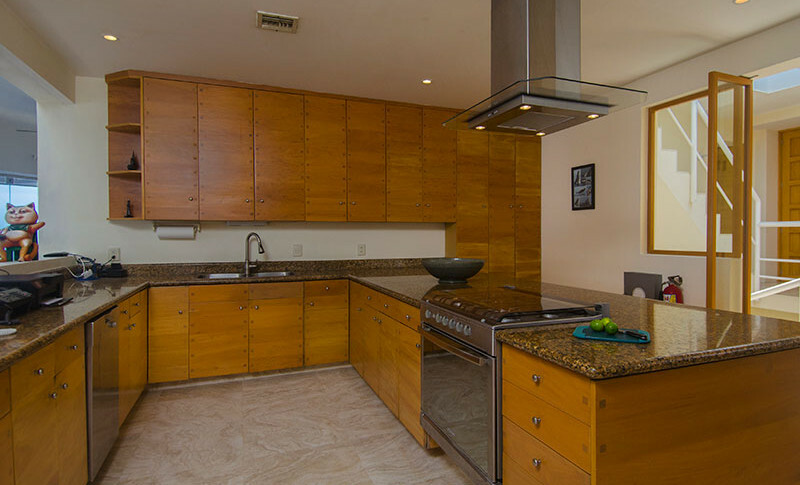 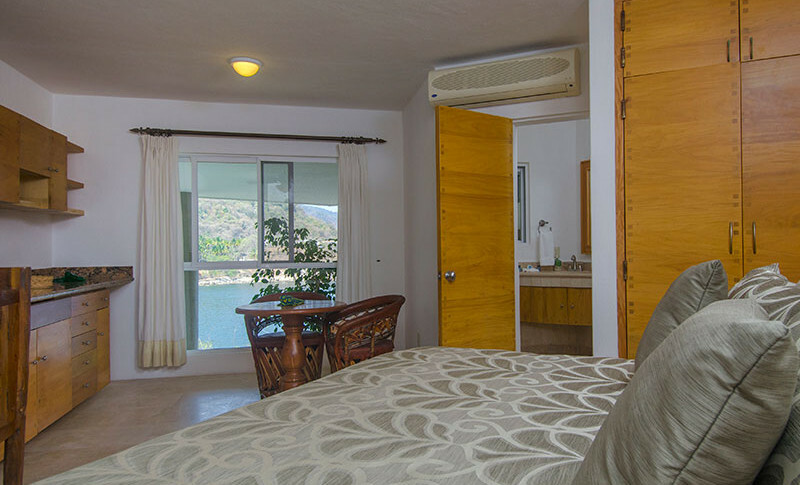 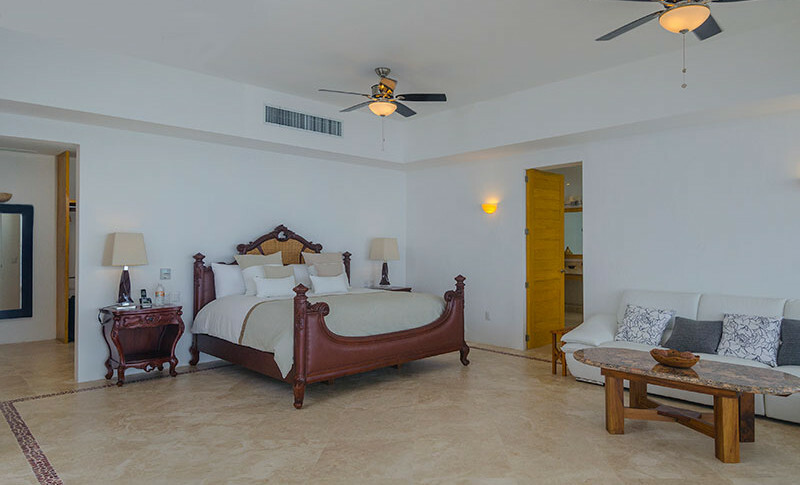 The full floor Master King Suite includes a living area, dining area, full granite kitchen, walk-in closet, full bath with 2 person shower and 2 person Jacuzzi, as well as an incredibly large oceanfront deck. 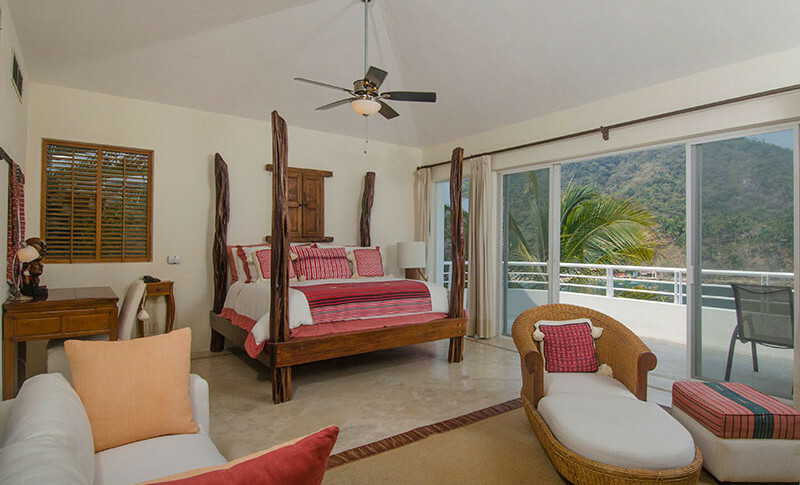 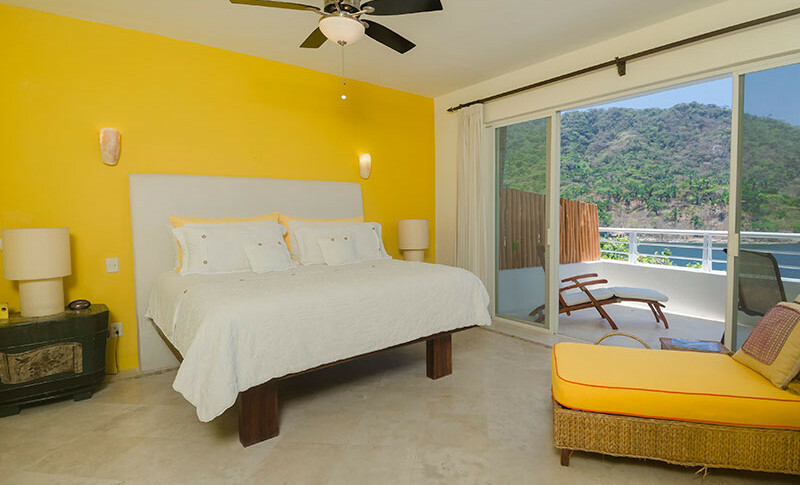 Each of the remaining 6 bedroom suites offer King size beds (one suite can be divided into 2 twins if necessary), private bathrooms and all have ocean views and boast private terraces, marble floors, and walk in closets. 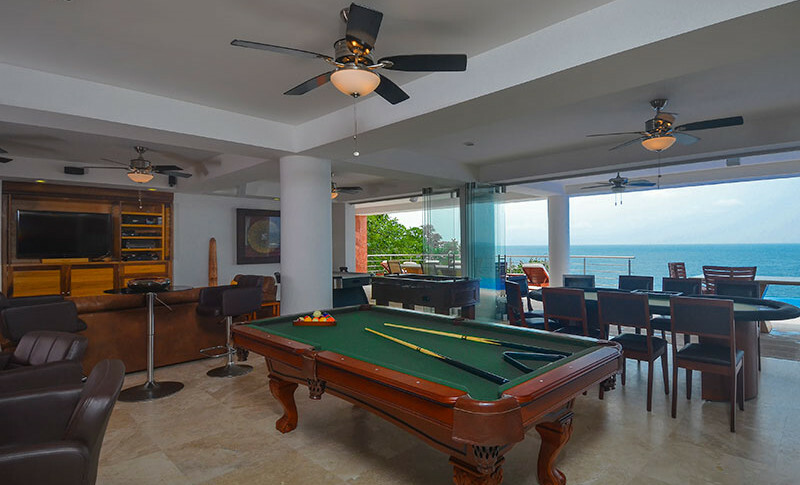 The Game Room Level features a fantastic full floor game room, with full kitchen/bar, pool table, poker table, blackjack table, foosball table, air-hockey table and entertainment cabinet with home theater and Bose music system for indoors and outdoors. 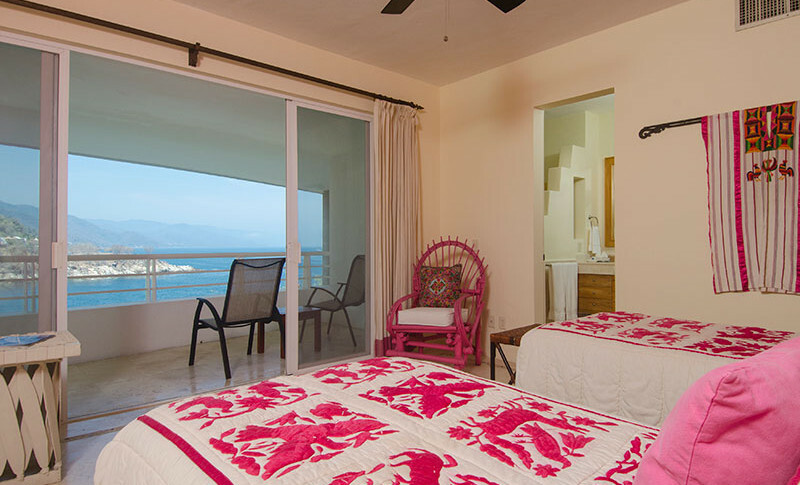 The rental rate includes a full staff of 7 to pamper your every need. 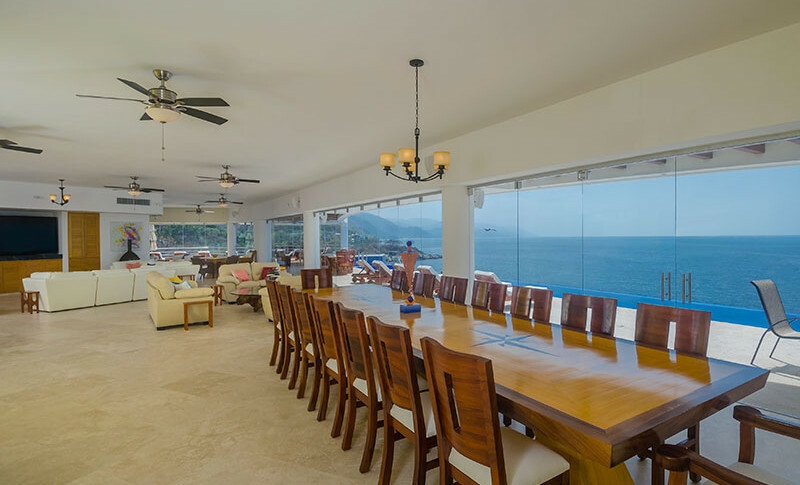 Meal service includes; breakfast, dinner and happy hour snacks upon request between hours of 9am-6pm (cost of groceries to be billed to guest). 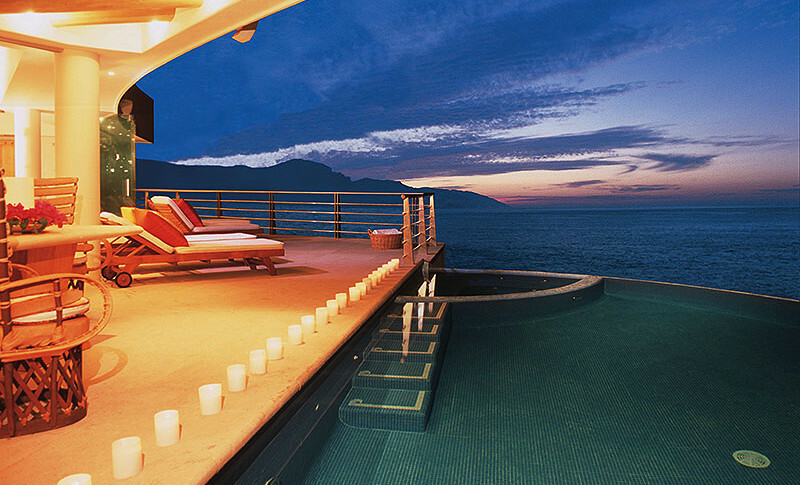 After hours and Sunday service may be additional. 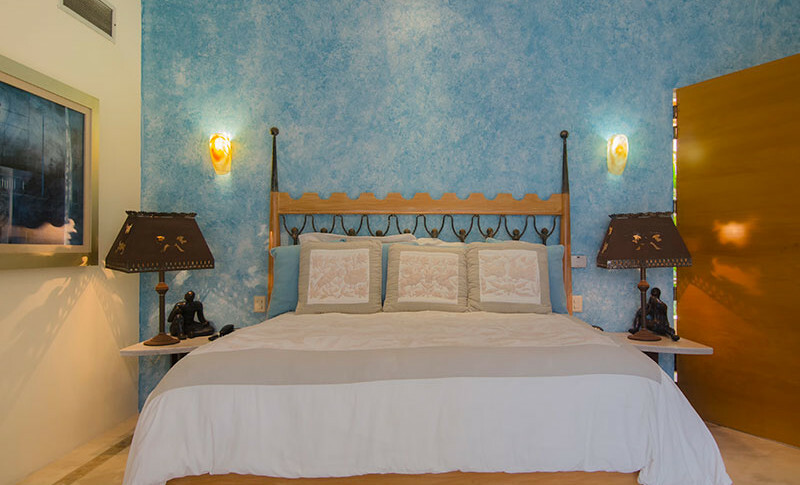 Sleeps up to 10-14 guests and can service 50 plus guests for special events/weddings.